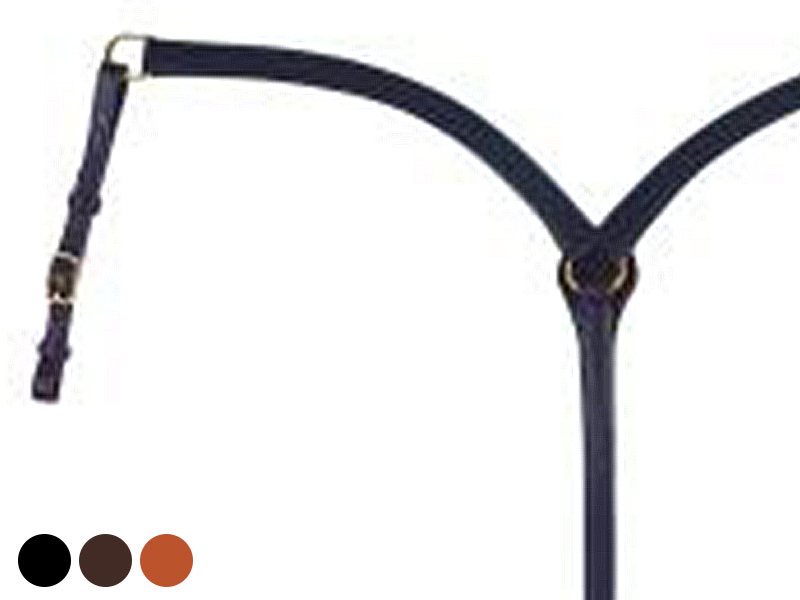 Designed to fit your horse's shoulders with a 1 1/4" wide strap. The chest tab is lined with fleece for extra comfort where it counts. Available in Black, Brown, or Golden with Brass or Chrome hardware. Shoulder to center - 28"
Center to attachment strap - 18"
Center to girth - 25"